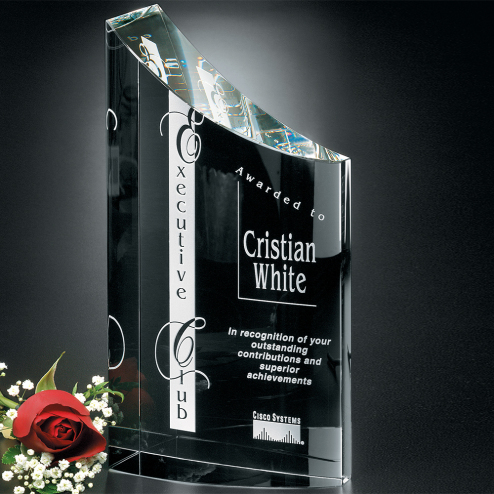 The appealing curve of the Pacifico Award reflects light that will bounce around the room. 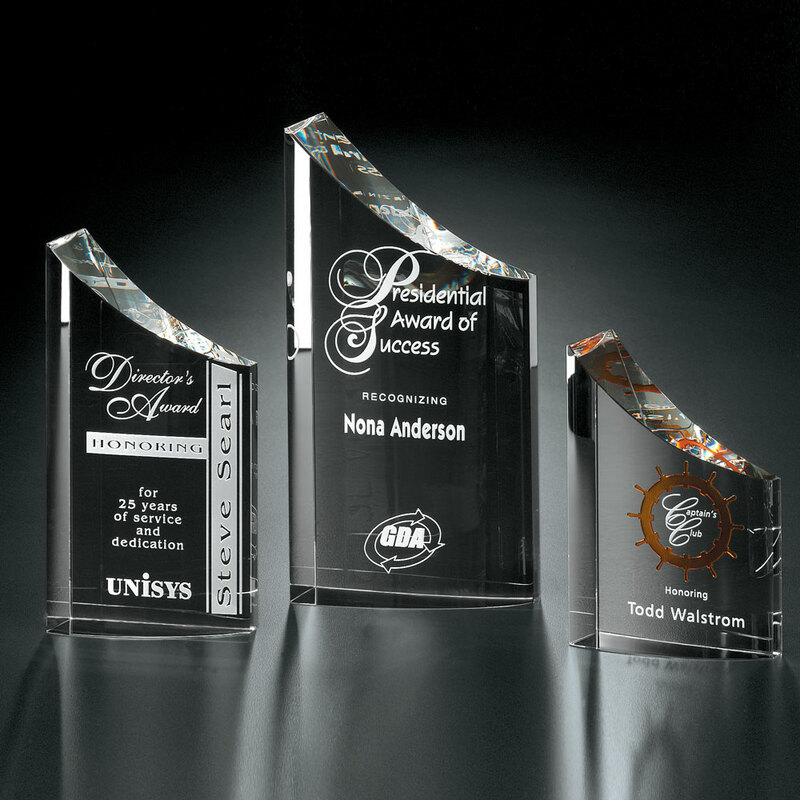 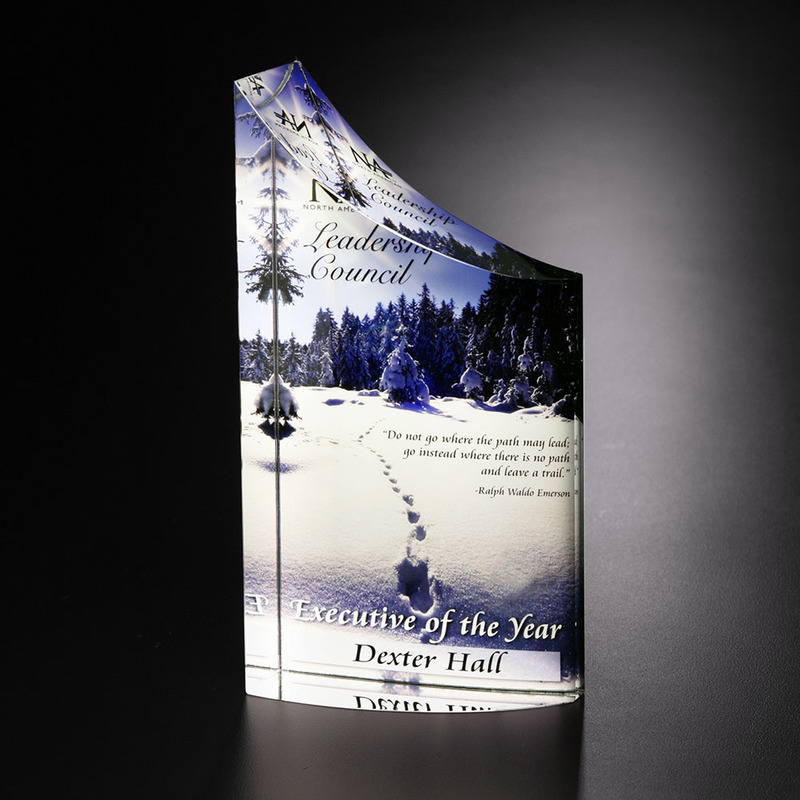 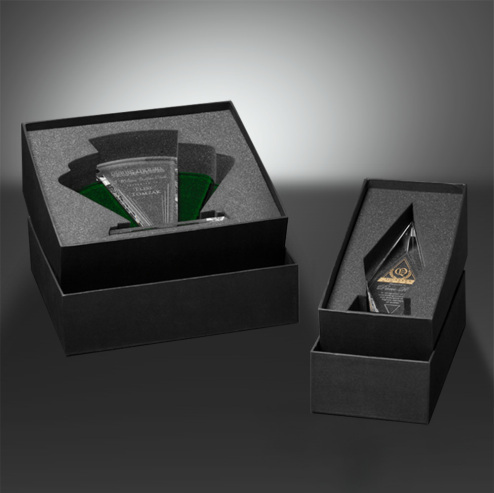 Combine our imprint processes for an amazing award. 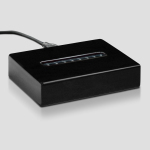 Black Piano Finish Lighted Base Rectangle 5 1/2"